Understanding prevailing wind conditions and simulating the effects can be very important on certain sites. 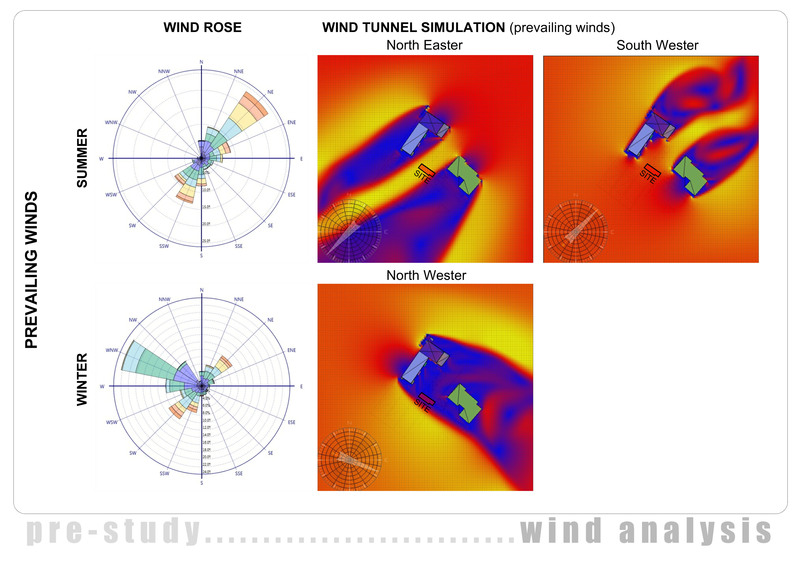 Here is a wind study showing prevailing conditions and the effect exist buildings have on wind conditions of the site. Vasari & Climate Consultant as well as Ecotect’s Whether tool are used in wind studies.